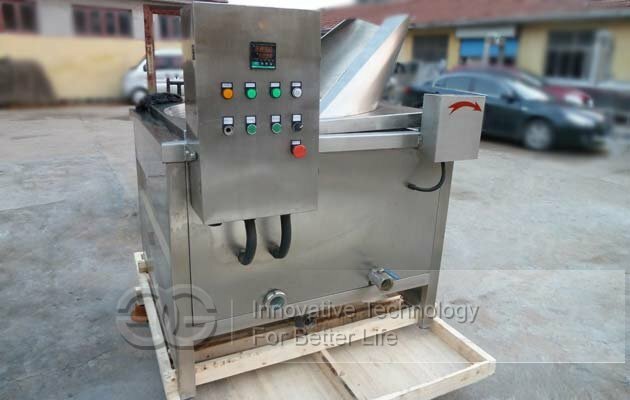 Snack fryer machine: Is an oil-water mixing frying equipment, is controlled by the dual temperature, the oil temperature can be freely set and controlled; water temperature can be controlled. The lower part of the frying machine water, the use of natural air cooling and an additional automatic cooling water circulation system. Fried in the process of waste residue, waste precipitation to the lower part of the water. 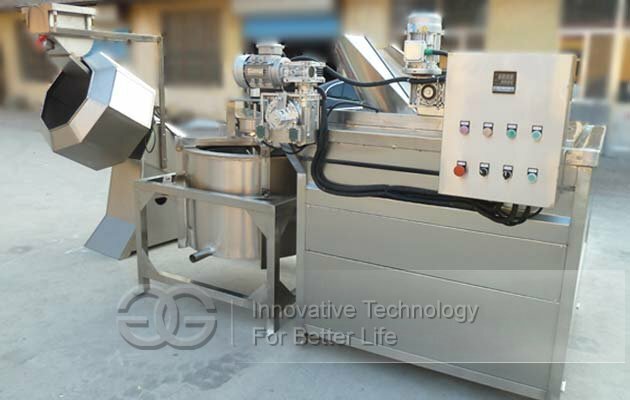 work every day, open the drain valve, let go of the frying machine, in order to achieve the role of clean oil, so that frying machine oil for a long time does not change colorl, no acidification. 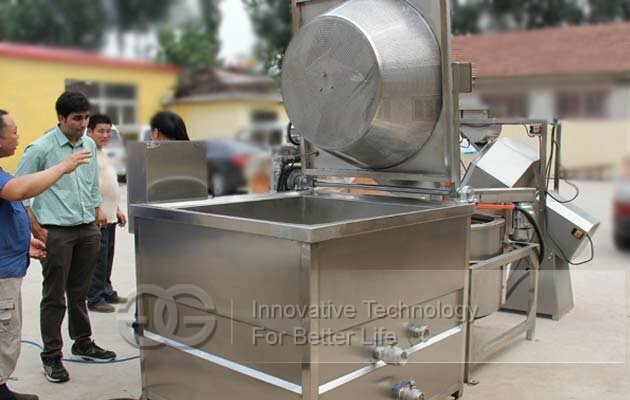 Than ordinary frying machine fuel-efficient 50%, saving 40%. 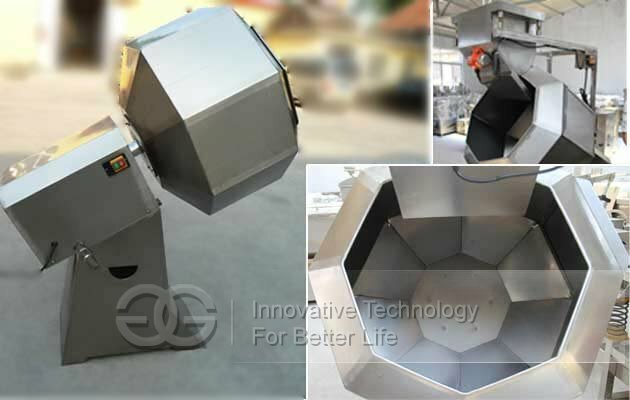 Octagonal multi-angle flavouring machine: is mainly made of high-quality stainless steel. Mainly used for casual food spices, such as peanuts, beans, mung beans, chickpeas, potato chips, biscuits and other seasonings. Save time and save, can produce 100-400kg per hour.